I opted to review this book based solely on the title. I had never heard of the author AlimaAshfaq before, nor did I know that she had several other publications, was a presenter on Unity FM, had worked with AlMaghrib Institute and conducts seminars and workshops across the UK as an instructor and owner of her own company, while also posting on 2 blog sites! Du’as of the Superstars: Formulae for Success, third edition, encompasses a whole lot more than the title suggests. It is not just another book of du’as. It is a treasure trove of gems. When I read the preface, I thought to myself: ‘I know this formula; everyone does.’ Although the ‘secret formula’ that Alima addresses in this book seems to be common knowledge, she puts the message forth in a different dimension. What you think you know, concepts that you have probably read about before and duas that you have you read a myriad of times in the Holy Quran, is presented in Du’as of the Superstars in a new perspective that keeps you paging. Alima’s conversational tone makes this book an easy going read. The book consists of only 10 Chapters. The first 9 are very crucial and need to be thoroughly completed before moving on to Chapter 10 which has 27 components. This book will benefit not only adults, but teenagers and our tender aged youth, who are advanced beyond their years. It is an innovative way to keep them inclined to achieve SuperStar status in Islam throughout their lives. The language is simple enough for anyone to relate, yet profound enough to motivate even the most stubborn adult. Both the general reader and the academic will find this book refreshing. Upon receipt of my copy of Du’as of the Superstars, I opened it to find two colourful, laminated cards which contained a short du’a on each. I stuck it up on the refrigerator and encouraged my family to learn both. Once I got into reading the book, I had to take it down to use as bookmarks as I found myself going back and forth to different places in the book all the time. Like I said, this is not a once off reading book; keep your markers handy. Being at a spiritual turning point, the thought of delving into a publication that talks about ‘Superstars’ making du’a, had me captivated instantly. To my astonishment, the book does not contain stories of Michael Jackson accepting Islam or naming his favorite du’a. Rather, I received a pleasant surprise when I discovered that the ‘Superstars’ in the book are none other than our very own Nabi Muhammad , the esteemed Sahaba and many more Greats from Islamic History. 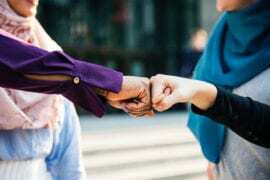 Alima says that her secret formula is not so secret: du’a coupled with action. Seems simple enough to my mind. The real question, is how to apply this formula to all aspects of your life and achieve the success you dream of. This is the solution that the author shares with us in her book. Starting with introducing the concept of du’a, its importance, as well as the etiquette for making du’a, the book moves on to the du’a wow-o-meter – my favourite part! The wow-o-meter chapter really makes you sit up and go: “WOW”! It hit me slap-bang in the middle of the forehead that all this time I have been reading and reading the same du’as I had memorized in youth and yet expected different results now in adulthood! I have done the etiquettes of du’a, I have fulfilled my compulsory obligations, I have changed my conduct for the better, I am striving to be a better Muslimah, I am learning to be a Productive Muslim, and still I have not progressed to where I wish to be: because I had not expanded my du’a list to match my requirements, because I had not measured my du’a status, because I had not made dua with ihsan (excellence). These are all the facts I learned from Chapter 4. After this chapter, the book takes you on a 360 degree spin; from du’a to goal-setting! The beauty of Sr Alima Ashfaq’s writing style comes forth now, as the switch in subject matter is made with such graceful progression. Chapters 6, 7 and 8 are really the toolbox part of this book. This is where the practical element kicks in on turbo. The linking of dunya to akhira is so eloquent in these chapters. Forget all the self-help books, courses, seminars and videos you may have experienced pertaining to goal setting. 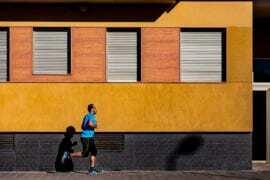 This is a different concept of goal setting. Ashfaq asks: ‘…what is the purpose of making a lot of amazing du’a, if you don’t have amazing goals to achieve? …’ Whether for this world or the next, you need to be working towards something of purpose or else you are just wasting precious time on earth. The author continuously makes reference to Qur’an, sunnah and stories from Islamic history throughout each chapter; it is like finding little gems on your pathway, as you progress through the book. I personally found it comforting, being able to relate to trials and tribulations experienced by the Superstars of the past and, to learn the du’as made by them, is as though I have encountered an oasis after a long drought. I never realized the intensity of how truly blessed we are. Not only to be the Ummah of Nabi , but that the du’as of the great men and women in Islam have been immortalized in the Holy Qur’an and given to us as a gift by our Creator, Allah . The final part of the book – Chapter 10 – encompasses 27 duas from the Qur’an, each with its own description and meaning; 27 pearls waiting to be discovered. The last verse in the book really brings it home for me. It sums up the purpose of this book beautifully. 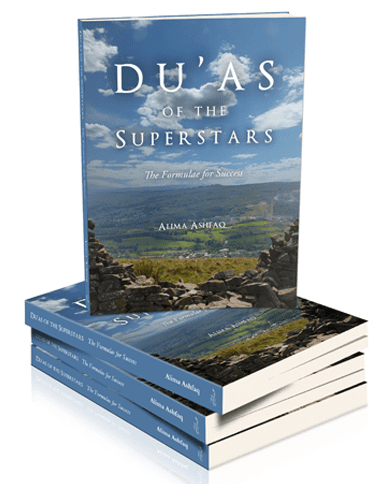 Du’as of the Superstars is available for purchase at I am Alima.org or through Amazon; a worthy buy that is going to pay for itself many times over. In my opinion, this is not just a good read, it also entails a technical aspect. I found it to be more of a work(ing) book rather than a reader. The tools provided are easy to follow, practice and understand. The way in which the author takes time to introduce each step of a process and link it to a story of one of the Greats of Islamic History incites one to feel a connection with our deen on a different level. The exercises and practical tips are beneficial and exciting to implement (as the Testimonials witness) and the book contains examples, in case you need a kick-start to making some duas to take your productivity to the next level! Binte Muqaddim is an all-rounder who believes that the world is the best university and life is the greatest teacher. She is working on building her character as a proper Muslimah and therefore considers herself a permanent student of knowledge.